On Top of the Duomo in Florence, Italy. 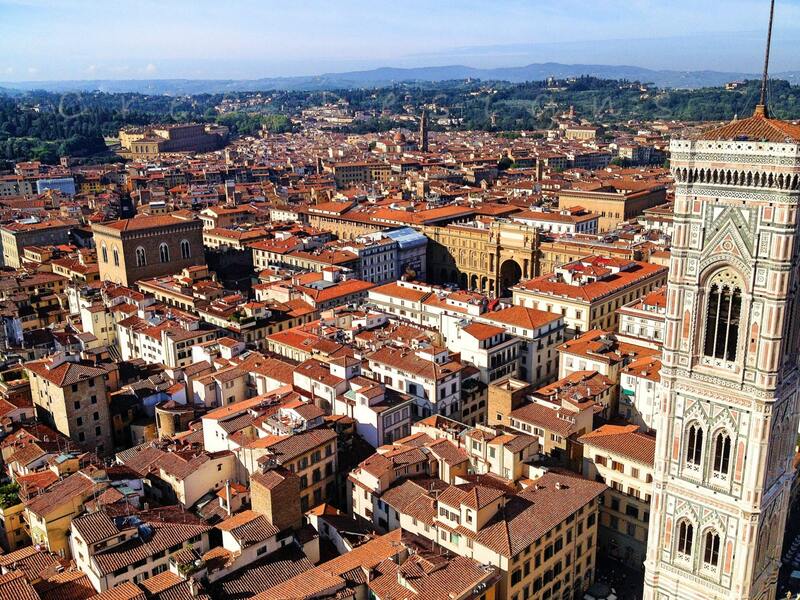 Terracotta rooves stretch as far as the eye can see from atop Brunelleschi's Duomo di Firenze. Giotto's Campanille Tower, which is also a part of the Santa Maria del Fiore cathedral complex, can be seen in the immediate foreground.